The truth is, I know nothing about Kim Kardashian. I’ve never met her, I’ve not spent too much time reading about her and I certainly know nothing about her church-going habits. However, based on the public persona Kim Kardashian promotes, I think it’s safe to say she probably wouldn’t be a solid recruit for your small group. 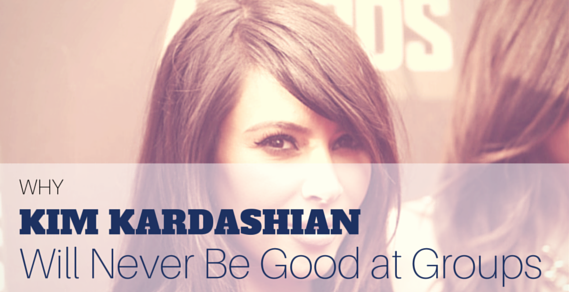 If we are to believe the media's stories, Kim Kardashian has a selfish streak. Self-centeredness and successful groups do not go hand in hand. Caring for one another is at the core of small group relationships. Everyone in your group has been given resources by God and He expects them to use those resources for the good of one another and for the good of the group. Some people have the gift of compassion, some have the gift of prayer, some have the gift of teaching and others have the gift of administration. All these gifts (and many others) can be used to build the group. Groups are successful when everyone in the group cares for one another. No one is perfect. 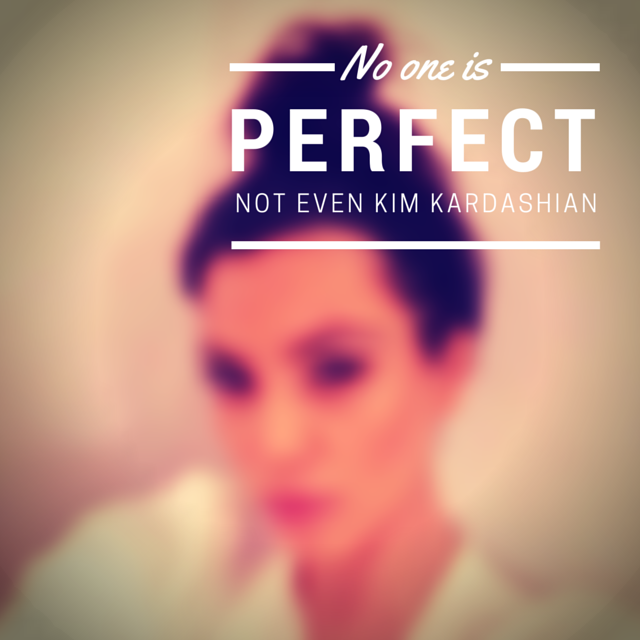 Not even Kim Kardashian. Being honest about yourself is critical for the growth of your group. This doesn’t mean that everyone in the group needs to share their deepest and darkest secrets. It does mean that sometimes it’s okay to be vulnerable, to ask for help or to share about your struggles. One of the Biblical commands for the church is to “bear one another’s burdens.” No one can help you carry your burden if you aren’t willing to share your burden. The church doesn’t need any more Instagram Christians who only post pictures which make their life seem fabulous. Your life is not always fabulous. Your group knows this. Your group should be a place where you can admit you don’t have it together, and where together you can all carry one another’s loads. 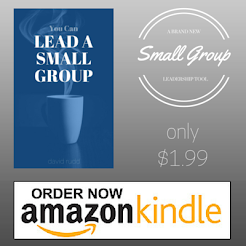 Small groups are just like Las Vegas in one way: What happens in your group, stays in your group. Never, ever, ever make public what someone else has shared in private. Nothing destroys a group more quickly than a loss of trust. Nothing compromises trust more completely than loose lips. If you can't keep a secret; you can't keep a group together. Keep the Secrets of One Another. If these three principles are at the heart of your group’s activities, you’ll be just fine!